I screwed up. Big time. Just have to start out saying that. You see, we can’t get pictures off the hard drive of our camera. I think somehow the port is messed up. So we use a SD Card to save and transfer pictures from our camera to our computer. Well, the other night, unbeknownst to me, when Mrs. G was making and taking pictures of her tetrazinni, I had pulled the SD Card to upload pictures to the computer. Oops. And she really did take some good pictures. So unfortunately, all we have are pictures of it going on the Egg and finished pictures. Unless somebody wants to come by and figure out how to get them off our camera….I sure as hell have not been able to. Did I mention Mrs. G made this all by herself? Other than lighting the Egg, she took care of the rest. She adjusted the vents by herself to get it to stabilize at 400F, she put in the placesetter and the casserole, she monitored it and took it out all while I was puttering around the yard doing chores. Maybe I need to get her to cook me dinner more on the Egg? Add mushrooms and next 3 ingredients, simmer 2 minutes. Boil spaghetti following instructions on package until al dente. 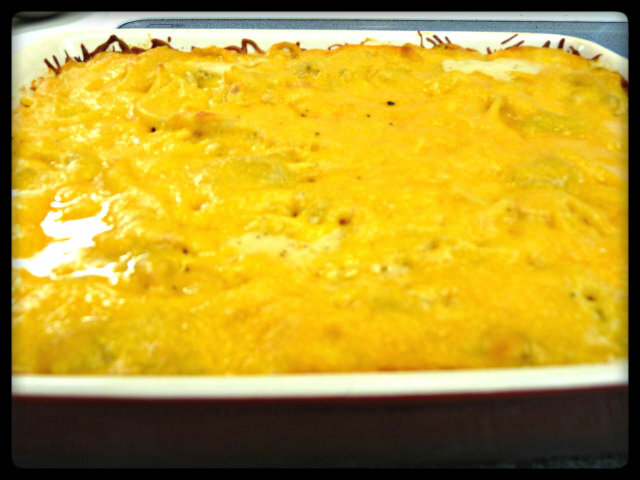 Combine all ingredients except cheeses and pour into a greased 3 qt casserole dish. Allow to cool 5 to 10 minutes before serving. 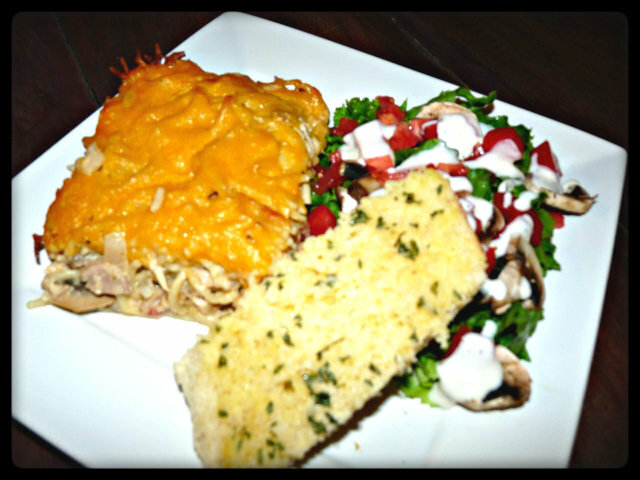 We plated it up with some salad and some garlic bread and it made a wonderful and quick meal. Just look at all that meltedy goodness, creamy with just a hint of smoke from the smoked tureky as well as being cooked over lump charcoal. I had to go back and get seconds it was so tasty. This really is a great way to get rid of some leftover turkey or chicken, especially if you just cooked an 18.5lb turkey and have way too much leftovers. I’ve also mentioned before, if we are firing up the Egg to do a chicken, we often do 2 or 3, just because it doesn’t take any longer and you don’t use any extra charcoal. 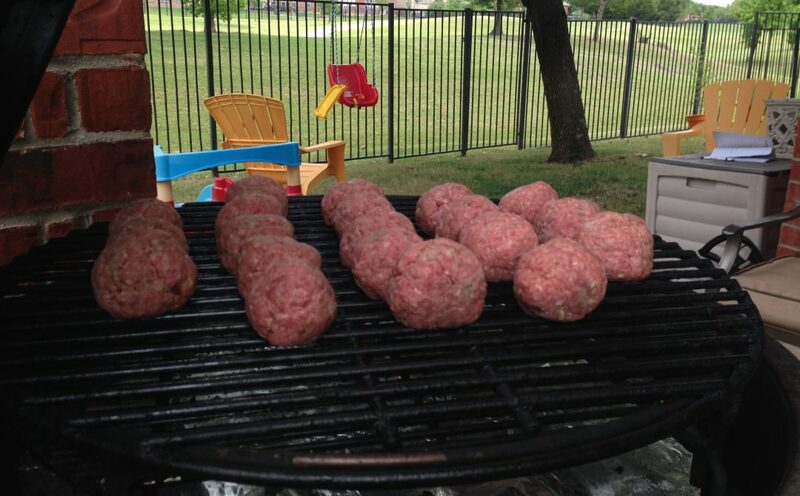 You might as well take advantage and fill up all the grill space you have. 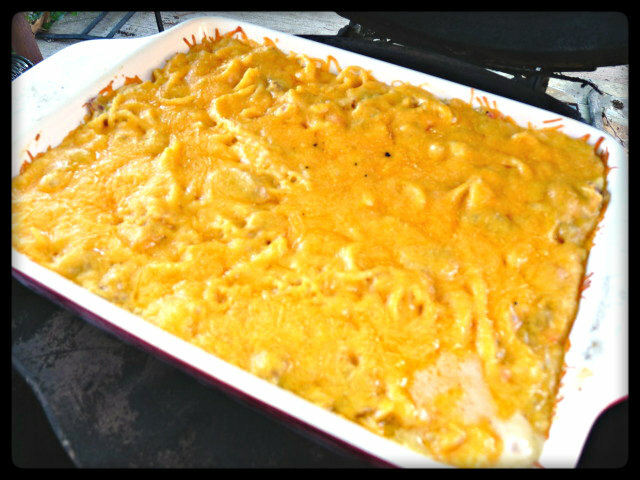 Cut it up into bite size pieces, freeze it and you will have a quick supply ready for this casserole (or any other that uses chicken/turkey) anytime you want it. I should mention, the rotisserie chickens they sell at grocery stores, while not as good as my smoked turkey, also work pretty well in this. Wow…that was fast. I just posted it. 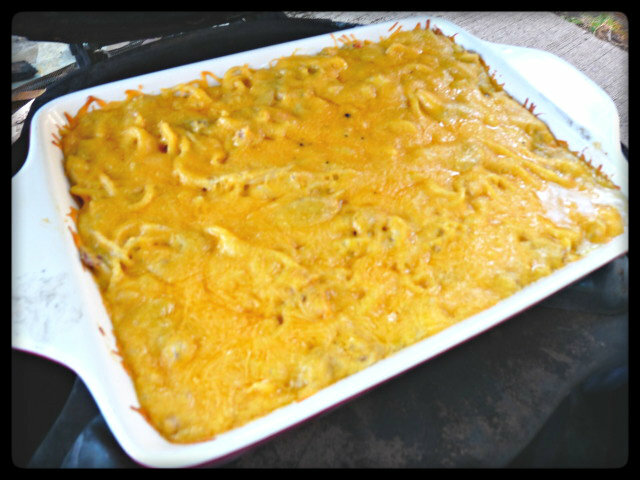 Griffin, this pasta dish looks delicious- all creamy and cheesy like. Thanks for sharing. Well bravo Mrs. G! I love anything that includes pasta and when you throw in grilling it too, I’m sold. It looks delicious. I wish I could help with the pictures on the hard drive, but I just plug and go; I have no idea how it all works. Good luck! So when you plug the camera directly into the computer, you aren’t able to access the pictures that are stored on the internal memory? Is the computer recognizing the camera? It might be that you need to update or re-install the driver for that camera. Who is the manufacturer? Mrs. R just recently got a new camera and I didn’t realize that the manufacturer provided its own upload software that offered a lot more features than the standard windows upload tool. I never thought to use it because I always just went with whatever popped up. Let me know if this helps. I was never able to access the pictures. Now I can’t even find the cord. I’ll take a look for it again when i get home today, but it is MIA after the last move. I think its a panasonic. Yay Mrs. G!!! This looks amazing and I can’t wait to try it! Did she give you a thunking for ruining her pics??? Not a thunking, but a tongue lashing for sure. Did you like how I stole your term “meltedy”? Only the cool kids can get by with meltedy. Clearly, you’re a member of the club. You done goooood! 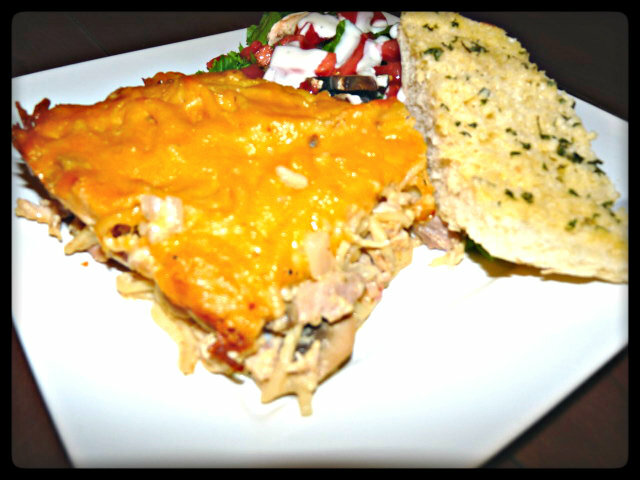 I’ve never had tetrazzini… never even heard of it… The finished picture makes me want to try it- no need for all the other ones! Have a great week! Loving all the comments. It’s one of my favorites. I usually use chicken and turkey around Thanksgiving. It is relish! 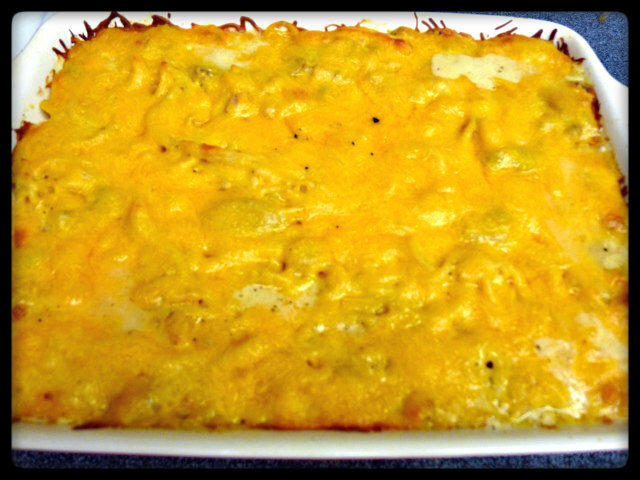 That was one of my favorite dishes at the Melvin/Phillips family reunion the weekend after Thanksgiving every year. We did it in a farmhouse in North Carolina that was only opened once a year for the event. I miss those days. 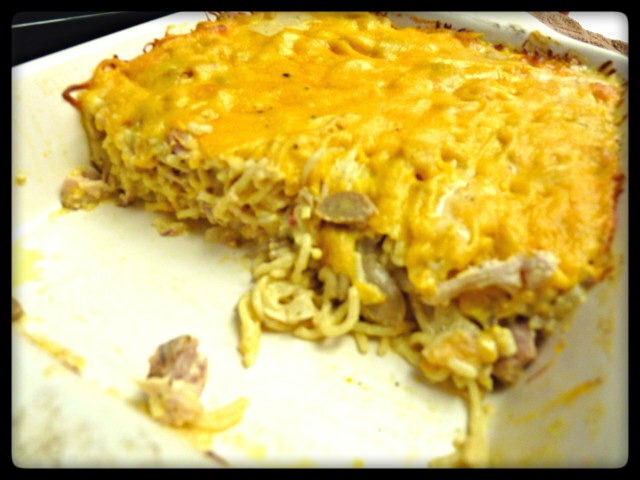 This post REALLY brought back memories because that is the first place I ever heard of turkey tetrazzini and I loved it.